OUTSTANDING childcare at an AFFORDABLE price !!! Top tots MLC opened in 2016 following the success of our sister nursery in the south of Portsmouth and has been graded "OUTSTANDING" in all areas inspected by OFSTED : ) in our first inspection in 2018 ! Opening times- 7.30am-6.00pm Monday- Friday. All funded spaces including the 30 hours offer for children with NO top up fees charged. We pride ourselves on offering the highest standard of childcare possible at a price families can afford, fulltime prices starting from as little as £103 per week. 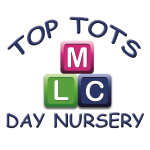 Top tots are the LOWEST priced OUTSTANDING nursery in Portsmouth. We run our nurseries with a homely feel and work hard to ensure every child has the best start to their education whilst learning through play. Swimming sessions are included in our routines at no additional cost to all children at our on site splash pool. Below are the latest reviews for Top Tots. Please note that reviews represent the subjective opinions of other Childcare.co.uk users and not of Childcare.co.uk. Parents must carry out their own checks and references on childcare providers to ensure that they are completely happy before enaging in the use of their services. I had been to many nurserys with my son had many food allergies and eczema this nursery was the only place that took his allergies very serious and educated themselves about his individual case and how to treat him if anything went wrong. I am a very fussy mummy and hand on heart the ladies here were like my son's extended family. He's now started school and we really miss them. My son always had so much fun here and came home with lots of things he had made that day or week. I am always recommending friends and family to use this nursery it really is lovely.